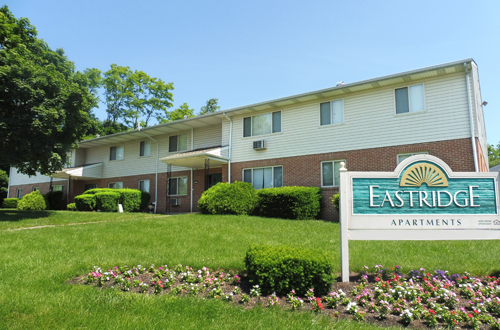 Eastridge Apartments is a 108-unit garden-style apartment community in Harrisburg, PA. The asset sold in August 2017 for $6,900,000. HARRISBURG, Pa., August 31, 2017 – Marcus & Millichap (NYSE: MMI), a leading commercial real estate investment services firm with offices throughout the United States and Canada, announced the sale of Eastridge Apartments, a 108-unit multifamily property located in Harrisburg, Pa., according to Sean Beuche, regional manager of the firm’s Philadelphia office. The asset sold for $6,900,000. Ridge MacLaren, Andrew Townsend and Clarke Talone, investment specialists in Marcus & Millichap’s Philadelphia office, had the exclusive listing to market the property on behalf of the seller, a limited liability company. The team of agents received more than ten offers for the asset and ultimately procured an out-of-market buyer, a private partnership that participated in a 1031 exchange. The 108 apartments are a mixture one-, two-, and three-bedroom units. Eastridge Apartments is situated on seven acres at 102 Worcester Ave in Harrisburg.